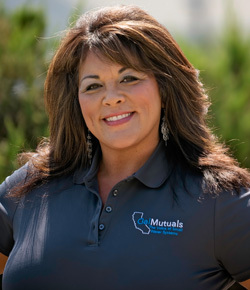 Lisa Yamashita-Lopez is the General Manager for Rubio Cañon Land & Water Association located in the City of Altadena. For the past 19 years, Lisa has provided technical and management consulting services to the municipal and water utility sector. She has served on the CalMutuals Board of Directors since 2014, and was elected President of the Association in 2016. In addition, Lisa serves on the board of directors for the Raymond Basin Watermaster. She is an active member of the Executive Committee, and also is chair of the Finance Committee.